The Royal Celebrity Couples are facing terrible comments on social media and, in response, Kensington Palace is making a peace movement. What are ways can adults cultivate a positive experience online? …eager to read more? Click here! In royal celebrity news, Prince Harry feels responsible for all of the public backlash that Meghan Markle is dealing with. According to UsMagazine.com, the 34-year-old prince takes any attack on Duchess Meghan very personally. An insider revealed that “Marrying into the royal family isn’t anywhere near as glamorous as it seems, so in a lot of ways Harry feels responsible for Meghan being so miserable.” Since their engagement and royal celebrity wedding, the Duchess of Sussex has been the subject of a series of negative stories in the media. The latest media story to break involves a feud between her and Duchess Kate. The source says that Prince Harry has wanted to publicly address the false rumors and defend Meghan, but has been advised not to. In royal celebrity news, Prince Harry is trying to help his wife through a tough time with the media and her family. What are some ways to support your partner through a tough time? In celebrity news, Prince Harry is feeling pressure with the negativity surrounding his wife Meghan Markle. There has been a bit of a strain on the celebrity relationship because Prince Harry is “very frustrated with how little can be done” in regards to the harm around the Duchess. 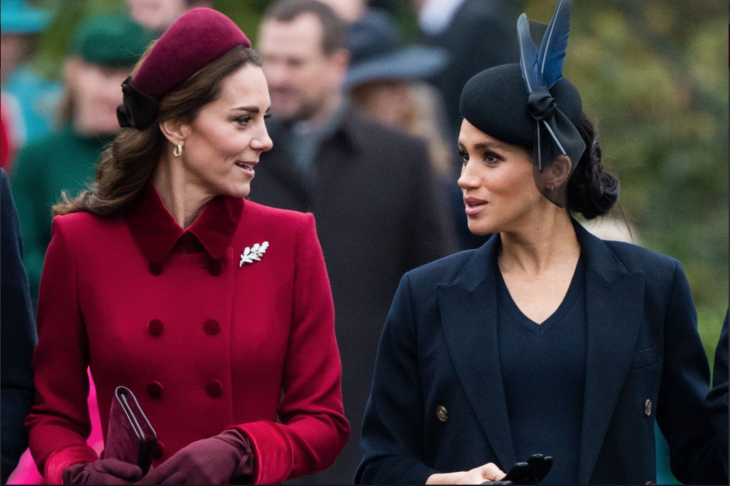 According to UsMagazine.com, reports have surfaced that Meghan Markle has been feuding with her sister-in-law as well as her private secretary, yet there was no drama with either party. Overall, Prince Harry just wants to be there for his wife. In celebrity news, Prince Harry is feeling the pressure of the drama surrounding his bride Meghan Markle. What are some ways to support your partner through a hard time? … Don’t miss the rest! Click here. In royal celebrity baby news, Prince Harry already has a cute nickname for his unborn child with Duchess Meghan. The celebrity couple was in New Zealand for their final day, and stopped to visit the Abel Tasman National Park. According to E! Online, the Duke of Sussex shared his thoughts with the group. He said, “From myself and my wife and our little bump, we are so grateful to be here. We bring blessings from my grandmother the Queen and our family. We are so grateful for your hospitality and the work to look after this beautiful place.” The future parents continue to share their happiness for their upcoming child. This royal celebrity baby to be already has an adorable nickname. What are some reasons that nicknames can bring you closer as a couple? … Want to know the rest? Click here to keep reading! In royal celebrity baby news, Prince Harry is hopeful for a baby girl with wife Duchess Meghan, as she is expecting their child in Spring of 2019. While walking in Sydney Australia, a fan was heard yelling “I hope it’s a girl,” in which Prince Harry responded, “So do I.” The celebrity pregnancy was first announced at the beginning of the pair’s royal tour. According to UsMagazine.com, the future dad talked about their future child during an address at at Sydney’s Admiralty House saying, “we also genuinely couldn’t think of a better place to announce the, er, upcoming baby. Whether it’s a boy or a girl.” The couple will continue touring in the upcoming months as they await the new addition to their family. Prince Harry is hoping his royal celebrity baby is a girl. What are some ways to prepare for a baby girl? In celebrity baby news, Prince Harry and Duchess Meghan are pregnant. The royal pair has been talking about extending their family since they tied the knot in May. UsMagazine.com reported that Kensington Palace released an announcement on October 15th stating, “Their Royal Highnesses The Duke and Duchess of Sussex are very pleased to announce that The Duchess of Sussex is expecting a baby in the Spring of 2019.” The celebrity couple shared their news after landing in Australia for their first international tour together. It looks like another royal celebrity baby will be joining the mix soon! What are some ways to prepare for your first child? … Need to know the rest? Click here for more. Members of the general public are fascinated by the love lives of their favorite celebrities. They adore hearing about movie stars and their engagements. They love getting news about musicians, athletes, models and media personalities who are planning glitzy wedding festivities, too. Famous people are often stealthy and protective about their love lives at first. They don’t want the media finding out about their plans and perhaps even ruining them. They like to hold on to the small amounts of privacy they can manage. Many different components go into celebrity romances in the modern age. Find out more! In celebrity news, it looks like the relationship between Meghan Markle and her dad may not be repairable. According to UsMagazine.com, during a celebrity interview, Thomas Markle had a lot to say about the royal wedding. Although there was a lot of celebrity gossip going around about Markle, in the interview he cleared things up. Markle was upset because he did not receive a formal invitation nor was he allowed to make a small speech congratulating the new celebrity couple. As much as Duchess Meghan would like to fix her now famous relationship with her father, it looks like it will be a long time before that happens. In celebrity news, additional details are coming out about Duchess Meghan’s dad’s involvement in the royal wedding. What are some ways to keep family drama out of your big day? In celebrity news, hours after the royal couple said, “I do,” they were seen leaving their reception early. According to UsMagazine.com, the celebrity couple, Meghan Markle and Prince Harry, were exhausted after a long, 17 hour day and left their reception at the Frogmore House before it ended. “They let themselves have a few drinks, then they were ready to get back for some rest,” an insider said. Before leaving, the Duke and Duchess enjoyed dancing the evening away with friends and family. The anticipation alone must have made this celebrity wedding tiring. This royal couple snuck off before the official end of their celebrity wedding. What are some ways to keep fatigue at bay on your big day? In celebrity news, the anticipated royal wedding has come and gone. 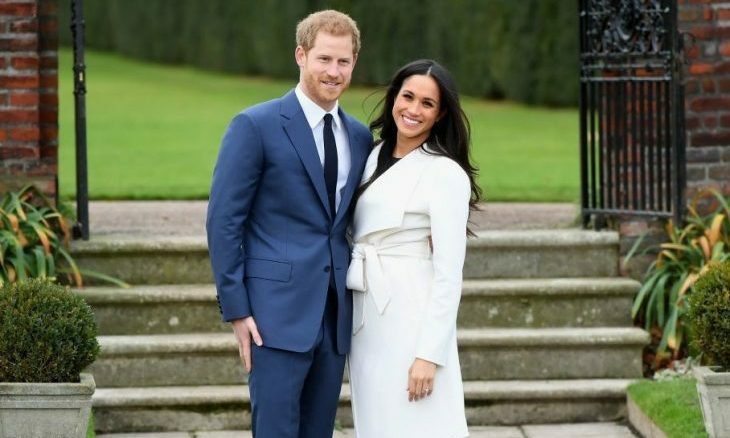 The celebrity couple had their wedding this past weekend as millions tuned in to witness the royal union between Prince Harry and Meghan Markle. According to UsMagazine.com, the portraits of the Prince and Duchess have been released. As anticipated as this wedding was, media outlets are still buzzing about the celebrity wedding. This royal celebrity wedding was highly anticipated and watched by millions. What are some ways to cope with your anticipation of your big day? In celebrity news, Saturday is the big day for celebrity couple Megan Markle and Prince Harry. According to UsMagazine.com, it looks like the bride to be will be escorting down the aisle by her future father in law, Prince Charles. Just this past week, we have heard stories from her father selling pictures to the tabloids to family members sharing and exposing family issues. Fortunately, since Markle’s father will not be in attendance, it seems that she won’t have to walk down the aisle by herself. “Ms. Meghan Markle has asked His Royal Highness The Prince of Wales to accompany her down the aisle of the quire of St. George’s Chapel on her wedding day.” Looks like Prince Charles will save the day for the celebrity wedding! This royal celebrity drama has been solved by Prince Charles stepping in. What are some ways to keep family drama from affecting your big day? In recent celebrity news, Kensington Palace released a statement in response to Meghan Markle’s father, Thomas Markle, backing out of attending the royal celebrity wedding. On behalf of Prince Harry and Meghan Markle, a Kensington Palace spokesman said on Monday, “This is a deeply personal moment for Ms. Markle in the days before her wedding. She and Prince Harry ask again for understanding and respect to be extended to Mr. Markle in this difficult situation.” According to EOnline.com, the statement is in response to Markle’s father announcing he would no longer be attending the celebrity couple’s special day. Even when it comes to the royal celebrity wedding, family drama happens. What are some ways to keep family drama from affecting your big day? There is only one month left until the royal wedding! 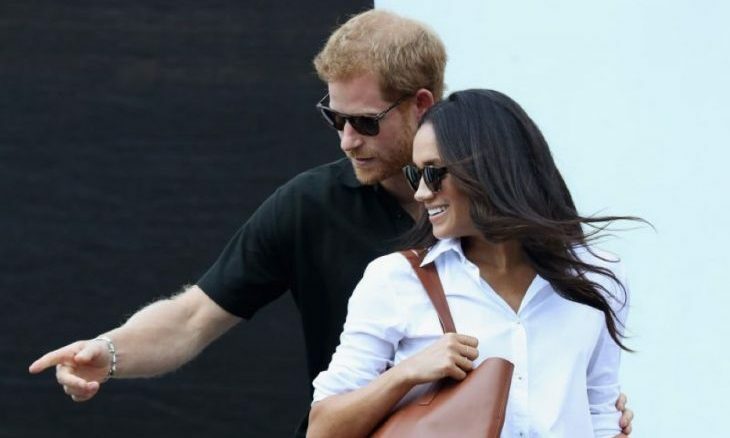 Prince Harry and Meghan Markle have been spotted conducting their lives cheerfully. On Thursday evening, the celebrity couple attended the Women’s Empowerment reception at the Royal Aeronautical Society in London, hosted by the Foreign Secretary, Boris Johnson, according to EOnline.com. The day before, Prince Harry and Meghan attended the Commonwealth Youth Forum together. According to celebrity news, the happy couple’s wedding date is May 19. 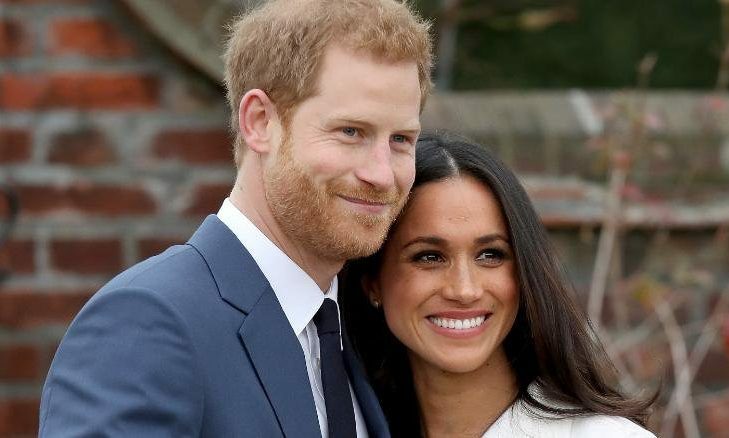 They will be wed at St. George’s Chapel at Windsor Castle. Prince Harry and Meghan Markle seem very joyous and relaxed in the days leading up to their celebrity wedding. How does one stay calm and collected in preparation for their wedding day? In celebrity news, royal celebrity couple Meghan Markle and Prince Harry’s honeymoon location has been decided! According to People.com, the engaged love birds will be honeymooning in Namibia after their celebrity wedding on May 19. Hoanib Valley Camp has been tipped as a possibility for the prince and future princess. The soon-to-be newlyweds will be surrounded by deserts, mountains, and wildlife, all in an intimate and classy setting. How nice! This celebrity getaway has us excited — we love honeymoons and vacations! What are a few places that our favorite celebrity couples have honeymooned? In celebrity news, the Queen has spoken! According to UsMagazine.com, Queen Elizabeth II gave her formal approval for royal celebrity couple Prince Harry and Meghan Markle to tie the knot. In a formal statement on Wednesday, the Queen said: “I declare my consent to a contract of matrimony between my most dearly beloved grandson Prince Henry Charles Albert David of Wales and Rachel Meghan Markle, which I consent I am causing to be signified under the Great Seal and to be entered in the books of the Privy Council.” So yeah, it’s official! We are as excited as you are about this upcoming celebrity wedding. It looks like this royal celebrity wedding has been blessed by the Queen! What are some ways to get your family on board with your choice in a partner? In celebrity news, Meghan Markle was baptized at the Chapel Royal at St. James’ Palace on Tuesday, according to UsMagazine.com. We can see that the royal couple is making moves before their royal celebrity wedding. In attendance were Prince Harry, Prince Charles, Duchess Camilla, and one of Markle’s friends. However, Markle’s parents along with Prince William and Dutchess Kate were absent. Either way, we are cheering Markle on as she continues on the road to her royal life. This royal celebrity couple is preparing for their big day, this time religiously. What are some ways to reconcile different religions when you’re going to marry someone? In celebrity news, royal celebrity couple Meghan Markle and Prince Harry face a potential danger: being a target. According to EOnline.com, former Head of Royal Protection and Chief Superintendent of the Metropolitan Police Service Dai Davies said: “History has a habit of repeating itself. In the last thousand years, there hasn’t been a King or Queen that someone hasn’t tried to murder.” In addition, it cost $33 million to protect Prince William and Kate Middleton at their celebrity wedding in 2011 — one of the most pricey security operations. Undercover police, investigations to avoid terrorist attacks, snipers, and an extensive search for explosives hiding in any place you can think of were all part of that price. Harry and Meghan’s protection plan for their big day could possibly cost more than William and Kate’s — yikes! What makes them a bigger target is Harry’s active military status in Afghanistan, plus the hate letter containing anthrax (an infectious disease caused by the bacteria Bacillus anthracis) aimed at Meghan. As we can see, the royal fam needs all that protection. We wish this beautiful couple the best of luck! Royals have a dangerous element to their celebrity weddings. What are some ways to keep drama from infecting your wedding day? 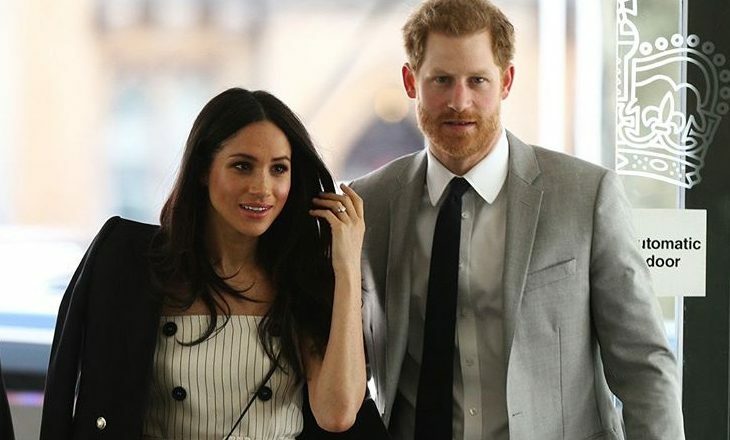 In celebrity news, royal celebrity couple Prince Harry and Meghan Markle were spotted Friday on date night watching Hamilton at the Victoria Palace Theater in London. According to UsMagazine.com, Leslie Garcia Bowman, who plays the role of a general in the hit production, tweeted that it “was an honor to have Prince Harry and Meghan” in the audience. 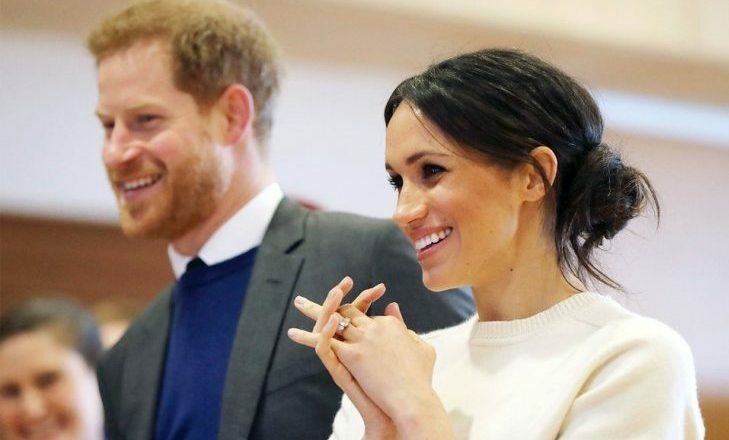 The couple seems very happy and as we can see, do take out time from planning their royal celebrity wedding, possibly because it’s already pretty planned out. In celebrity news, even the royals step out for special date nights! What are some out of the box date ideas? In latest celebrity news, Prince Harry has made a special request for Ed Sheeran to perform at his celebrity wedding to Meghan Markle. According to UsMagazine.com, the royal celebrity couple will tie the knot at noon this upcoming May 19 at St. George’s Chapel in London. We are not sure at exactly which part of the wedding Sheeran will perform during. Rumor has it that Elton John may possibly perform at either the celebrity wedding ceremony or reception as well, as it has come to our attention that John rescheduled some performances that were originally during the weekend of the celebrity wedding. What an exciting array of singers! In celebrity news, Prince Harry & Meghan Markle will be having some very special music at their wedding. What are some ways to incorporate music in your wedding?